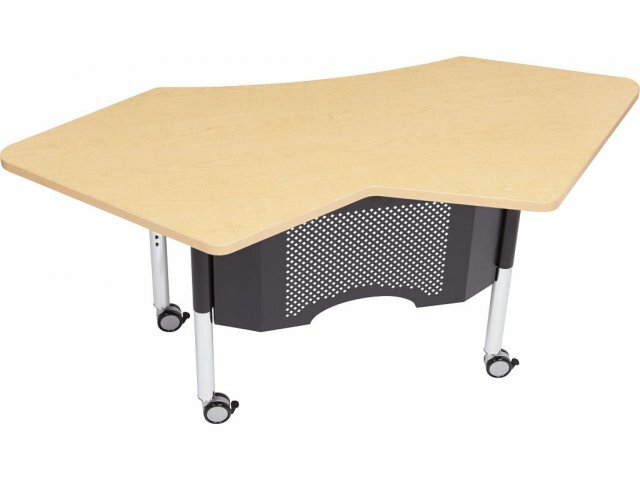 Take an active role in every lesson with a Lazer Teacher's Desk from Academia. The innovative design fulfills the needs of today’s flexible classrooms. 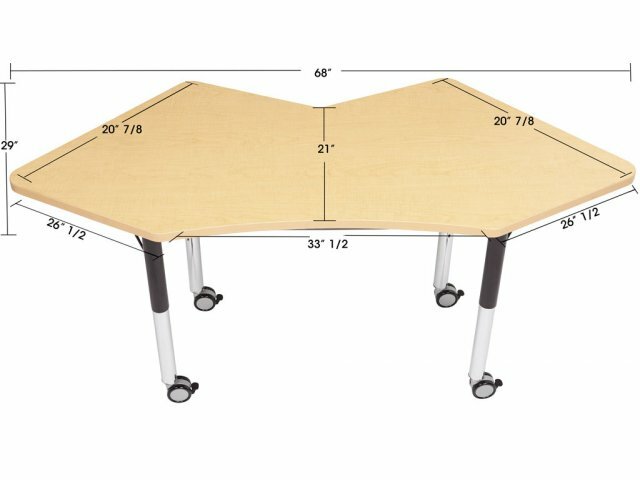 Locking, dual-wheel casters let a teacher roll the desk right into a cluster of student desks, offering a perfect fit that is ideal for working with small groups and moving around the classroom. 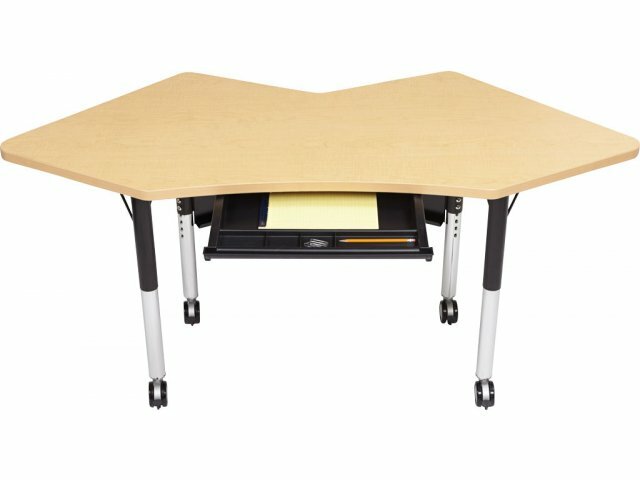 This teacher desk will serve educators through years of instruction and support. A high-pressure laminate work surface resists scratches and stains. 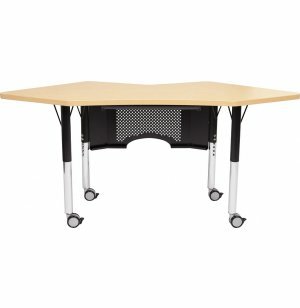 Sturdy steel legs provide excellent support. 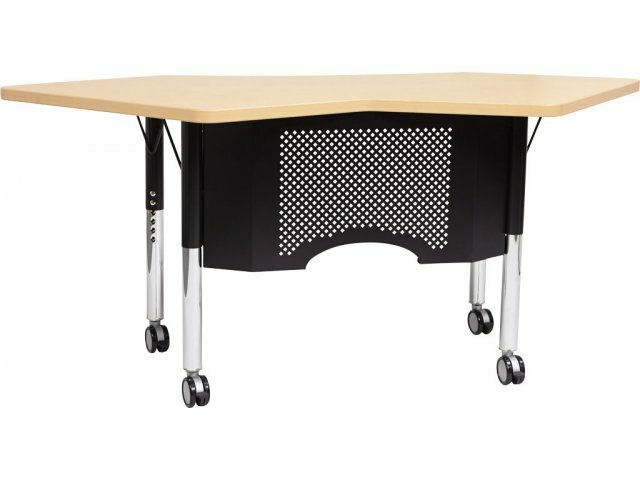 With convenient features like a pencil drawer and perforated modesty panel, educators are bound to love this teacher's desk. 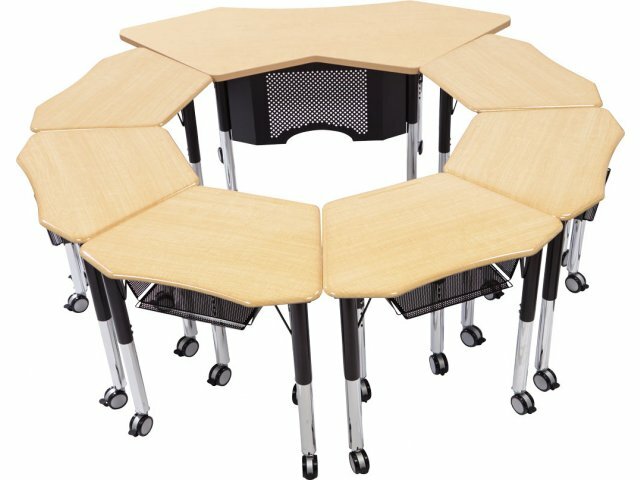 Collaborative Shape: Angled sides fit perfectly into a cluster of Petal Junior Student Desks. Durable Top: Work surface is scratch- and stain-resistant high-pressure laminate. Attractive Choices: Available in a selection of academic laminate hues. Convenient Storage: Pencil drawer provides accessible storage for supplies. 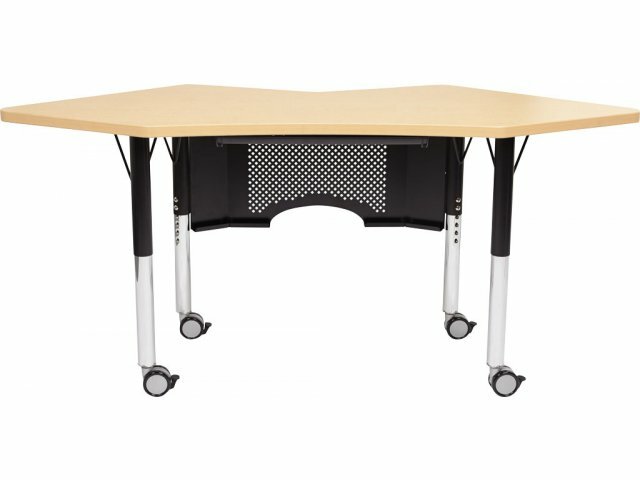 Private Workspace: Includes perforated modesty panel. 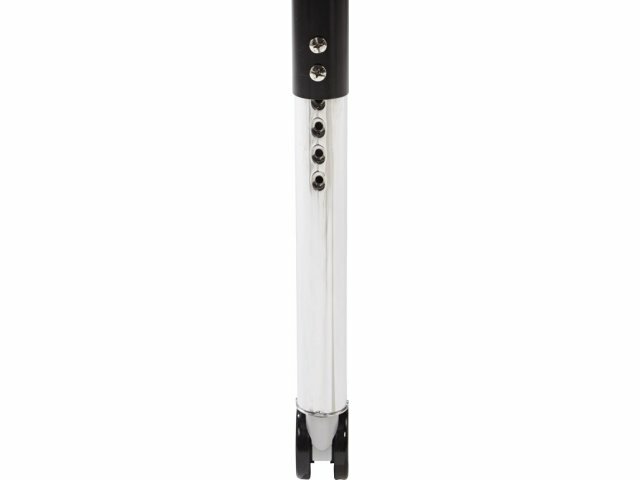 Sturdy Frame: Supported by height-adjustable, 18-gauge steel legs with hairpin braces. 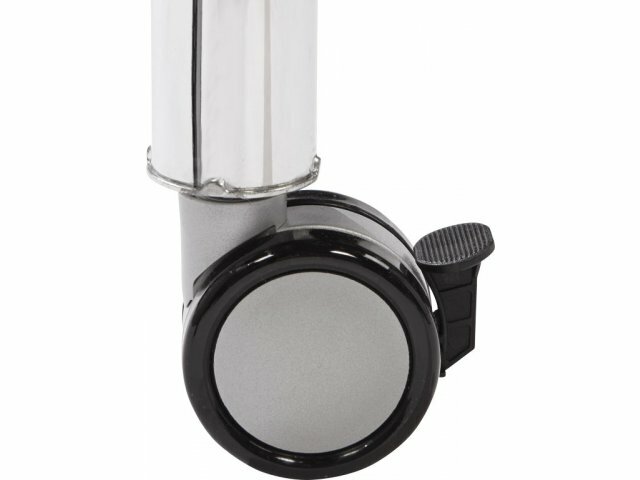 Easy Mobility: Locking casters allow easy movement between groups and promote secure positioning while working.